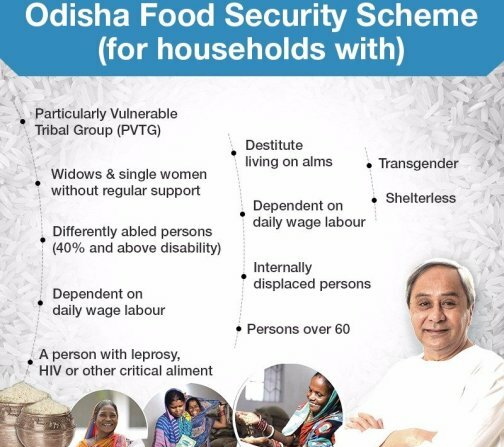 ONI Bureau: Odisha Chief Minister Naveen Patnaik on Tuesday launched state’s own food security programme on Gandhi Jayanti to cover 25 lakh people left out of National Food Security Act 2013. The CM launched the scheme through video conferencing at the State Secretariat and interacted with the people in four districts – Bolangir, Balasore, Sundergarh and Mayurbhanj. Official sources said, the beneficiaries of the State Food Security Scheme (SFSS) will get cheap rice at the cost of Re 1. As per the provisions of the SFSS, 25 lakh poor people of 6.70 lakh families “left out” from the benefits of the National Food Security Act (NFSA) will get the cheap rice. State Govt will spend Rs 442 crore per year for implementation of the State Food Security Scheme. Odisha Politics: New Political Party to be announced on Oct 7?